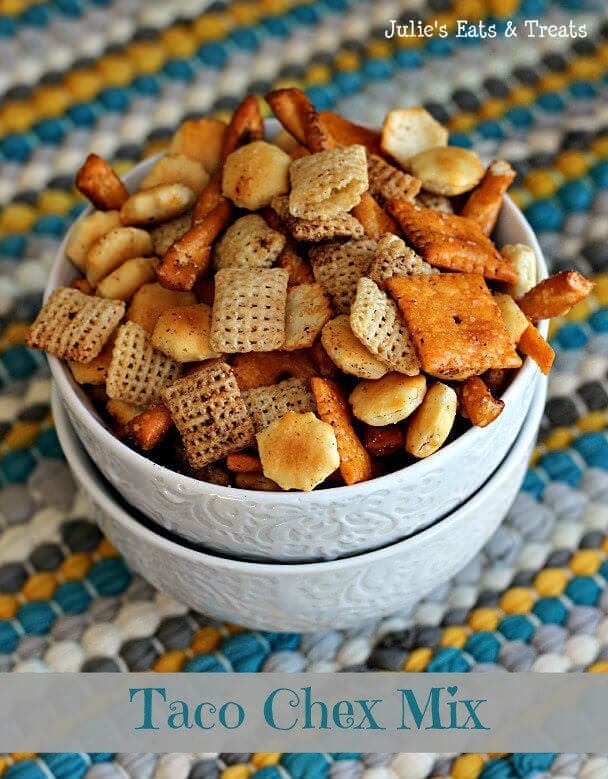 Ranch Snack Mix Recipe ~ Delicious, Easy, Homemade Snack Mix Loaded with Chex, Bugles, Goldfish and Oyster Crackers then Seasoned with Ranch Dressing Mix! What do you do when you get stressed out and depressed? Not majorly horribly stressed and depressed just that moment where you kind of want to hide instead of acting like a grown up who has it all under control! I tend to smother my feelings with yummy snacks and treats which is probably not the best thing to do! For example you can find me curled up with a plate of these delicious Reese’s Pieces Peanut Butter Cookies along with a mug of White Chocolate Latte! You might ask why I’m a bit stressed out, huh? Well, tonight I tackled the fun job of trying to get a bunch of information together for our appointment with the lawyers this week to draft a Will. I looked at Jason as I was collecting our life insurance policies and asked him what he would do and need if I were to pass on. Uff-Da now that’s a conversation that isn’t fun for either spouse is it? Or the question of who would be your children’s guardians if something were to happen to both of you. That phone call to a sibling to ask them to be your children’s guardians is not the most fun thing either! Sometimes I look around at my life and think that I’m not old enough to have all these responsibilities! Instead of Will planning, job responsibilities etc. I want to run off to Mexico with my best girlfriend, drink fruity drinks on the beach and dance the night away. Or to be able to pick up and run to the grocery store whenever my little heart desires without toting children and diaper bags along. Or maybe running to Target after work without finding a babysitter? It’s normal to long for those things right? To sometimes think of the things you used to do without a second thought? Yes, of course I love my dear little children and I wouldn’t change the fact that I am tied down to them and their father because that was my dream too. And what a wonderful life we have carved out for ourselves, but every once in a while it’s nice to leave the children at home with Grandma and eat a dinner alone with the hubs and go to Target without someone grabbing everything off the shelf they see! 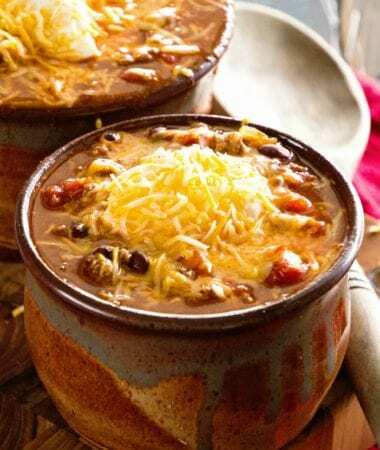 We are planning a big Super Bowl Party for our friends and their families this year and I can’t wait! 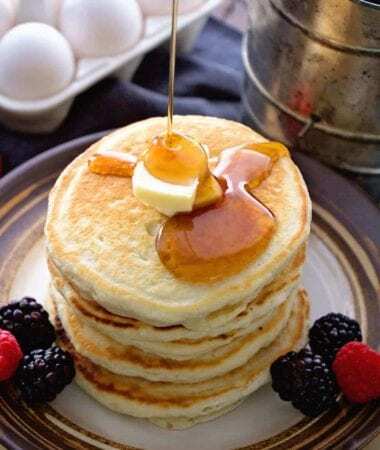 As the invite states, The hubs is all about the game and I’m all about the food! Well, I might be about the commercials too! Another great game day snack is Butterscotch Popcorn – you can find the recipe here! 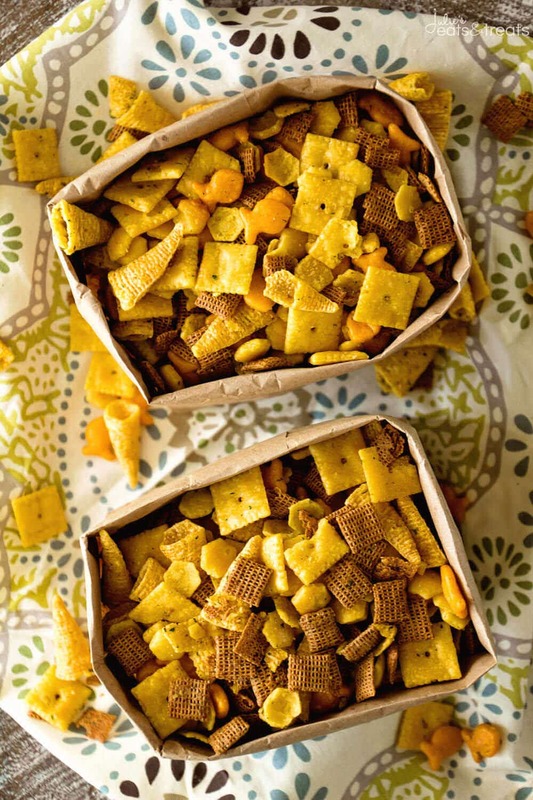 This delicious Ranch Snack Mix is totally addicting and will be served at our party. 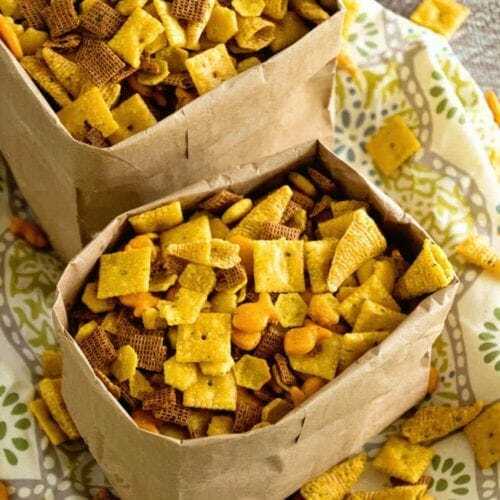 I mean who’s not going to love something loaded with Chex, Bugles, Cheez-Its and smothered in Ranch Seasoning? 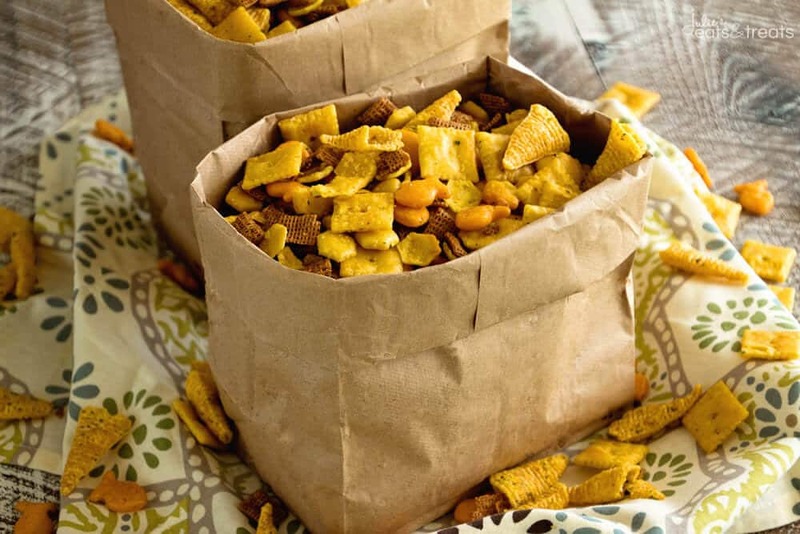 Delicious, Easy, Homemade Snack Mix Loaded with Chex, Bugles, Goldfish and Oyster Crackers then Seasoned with Ranch Dressing Mix! Mix together microwave safe bowl combine popcorn oil and ranch dip mix. Heat in microwave for two minutes. 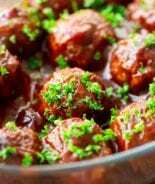 In a large mixing bowl or roasting pan combine the rest of the ingredients. Stir to mix. Drizzle oil mixture over the snack mix and stir well. Spread on baking sheets. 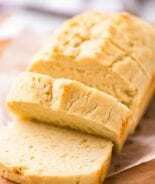 Bake the mixture for 1 hour, stirring every 15 minutes. 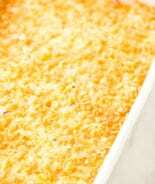 Remove from oven and spread on wax paper. Cool. Store in airtight containers. 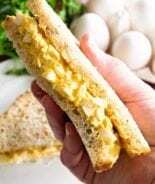 Follow My Snacks Recipes Pinterest Board! 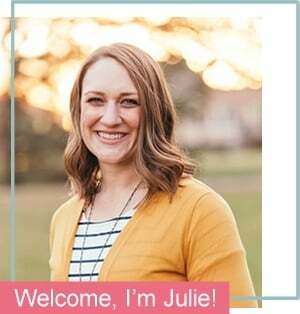 Follow Julie Evink | Julie’s Eats & Treats’s board Snack Recipes! on Pinterest. 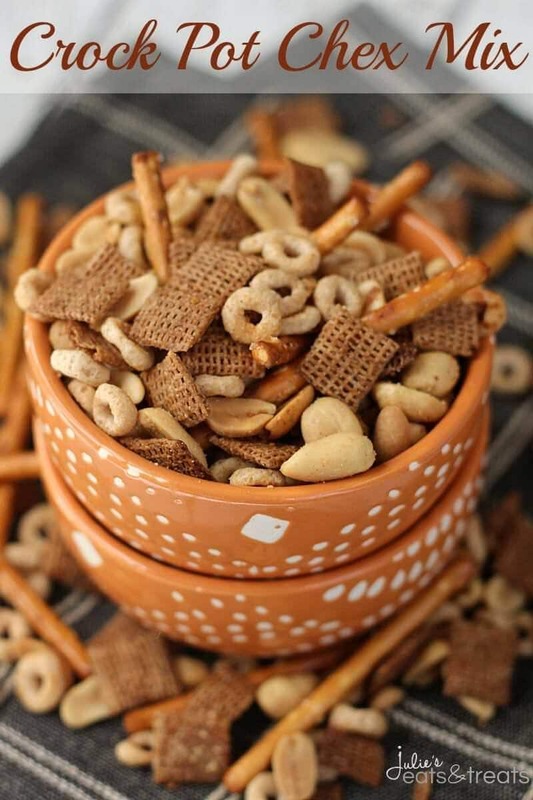 Crock Pot Chex Mix ~ Simple and Delicious Chex Mix Loaded with Cheerios, Pretzels, Peanuts and Chex Made in your Crock Pot! 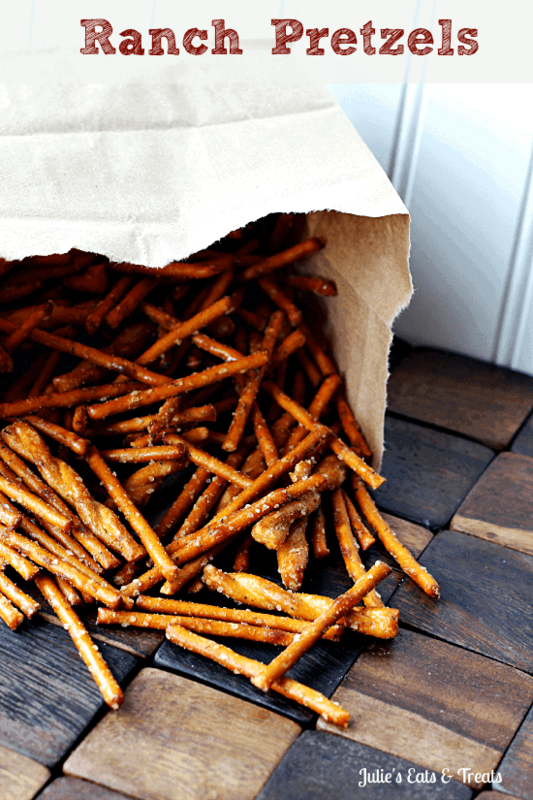 Ranch Pretzels ~ Easy and Addictive treat for everyone! 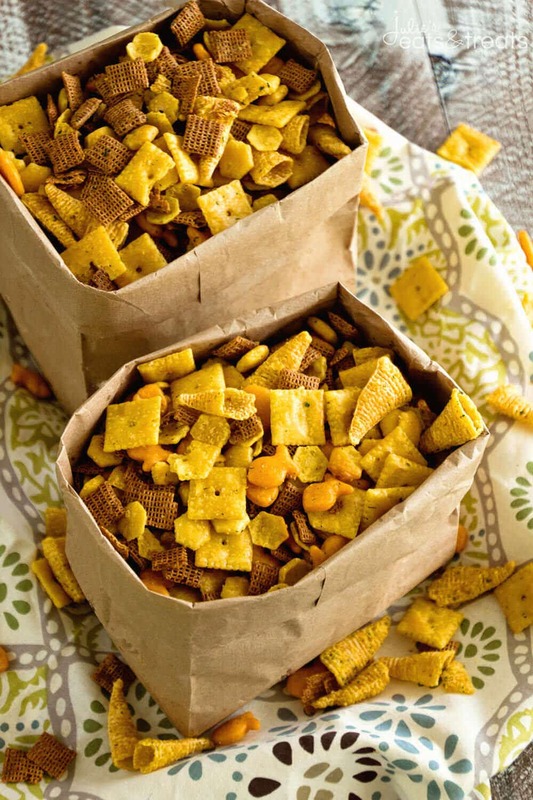 Taco Chex Mix ~ Spice up your favorite snack mix! Mm, tasty! I can almost smell the aromas coming out from the oven. I’ve never tried it but yes I think you sub another oil, but it will not have the buttery taste like the popcorn oil. How long will this keep? Wondering if I can just make this for my family to pack in lunches through the month. I would say up to a week or two. I make lots of snack mixes in large quantities. I always freeze mine in gallon zip top bags. 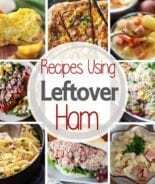 You can portion out whatever you want for lunches or whatever. Thaws quickly and always ready. ITV should keep for at least three months. What an awesome tip Cyndee! I’ll keep that in the memory bank for when I have extras! I’m sorry I’ve never test it that way. If you do let me know how it goes! What is popcorn oil & where would one find it? It’s an oil found by where the popcorn kernels and microwave popcorn is in my grocery store!